*Privacy is a constitutionally protected right which emerges primarily from the guarantee of life and personal liberty in Article 21 of the Constitution. *Privacy is the constitutional core of human dignity. Privacy has both a normative and descriptive function. At a normative level privacy sub-serves those eternal values upon which the guarantees of life, liberty and freedom are founded. At a descriptive level, privacy postulates a bundle of entitlements and interests which lie at the foundation of ordered liberty. *Privacy includes at its core the preservation of personal intimacies, the sanctity of family life, marriage, procreation, the home and sexual orientation. *Privacy also connotes a right to be left alone. Privacy safeguards individual autonomy and recognises the ability of the individual to control vital aspects of his or her life. *The meaning of the Constitution cannot be frozen on the perspectives present when it was adopted. Technological change has given rise to concerns which were not present seven decades ago and the rapid growth of technology may render obsolescent many notions of the present. Hence the interpretation of the Constitution must be resilient and flexible to allow future generations to adapt its content bearing in mind its basic or essential features. *Like other rights which form part of the fundamental freedoms protected by Part III, including the right to life and personal liberty under Article 21, privacy is not an absolute right. *A law which encroaches upon privacy will have to withstand the touchstone of permissible restrictions on fundamental rights. In the context of Article 21 an invasion of privacy must be justified on the basis of a law which stipulates a procedure which is fair, just and reasonable. *The law must also be valid with reference to the encroachment on life and personal liberty under Article 21. *Privacy has both positive and negative content. *The negative content restrains the state from committing an intrusion upon the life and personal liberty of a citizen. Its positive content imposes an obligation on the state to take all necessary measures to protect the privacy of the individual. *Informational privacy is a facet of the right to privacy. 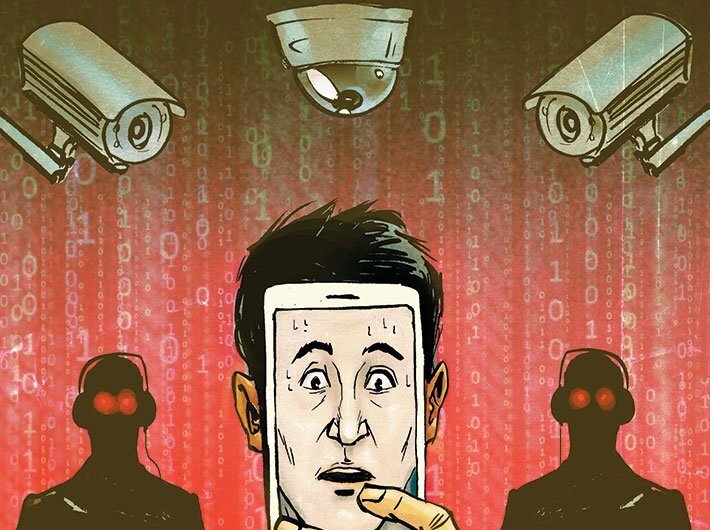 The dangers to privacy in an age of information can originate not only from the state but from non-state actors as well. We commend to the union government the need to examine and put into place a robust regime for data protection. The creation of such a regime requires a careful and sensitive balance between individual interests and legitimate concerns of the state. *The legitimate aims of the state would include for instance protecting national security, preventing and investigating crime, encouraging innovation and the spread of knowledge, and preventing the dissipation of social welfare benefits. *These are matters of policy to be considered by the Union government while designing a carefully structured regime for the protection of the data. Since the Union government has informed the Court that it has constituted a Committee chaired by Hon’ble Shri Justice B N Srikrishna, former judge of this court, for that purpose, the matter shall be dealt with appropriately by the Union government having due regard to what has been set out in this judgment.